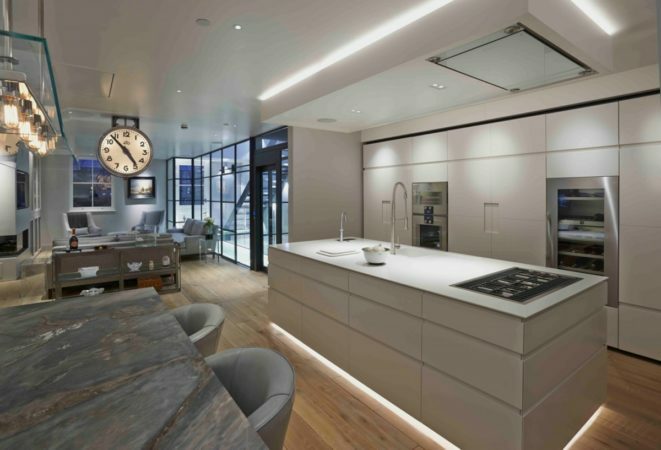 We have just completed this stunning contemporary mews house lighting having worked with the client from the initial lighting concept and design through to supplying products and the final commissioning. 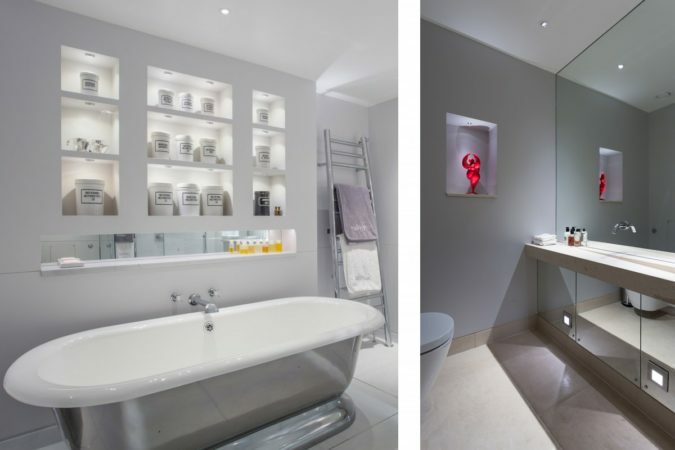 Getting the right look for the lighting was essential to realise the clients dream of London mews house living. 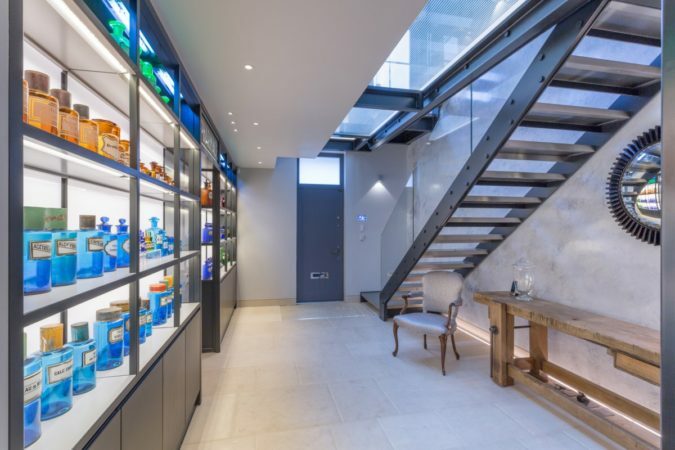 In the hall above and below, Contour HD27 was incorporated into the feature pharmacy cabinet and used to create a strong linear effect as uplight under the stairs. In the kitchen low glare colour consistent Square Doubles were used to light the island and single Squares to reflect light off the full height kitchen units whilst a floating effect is created using Contour HD27 LED strip below and above the island. 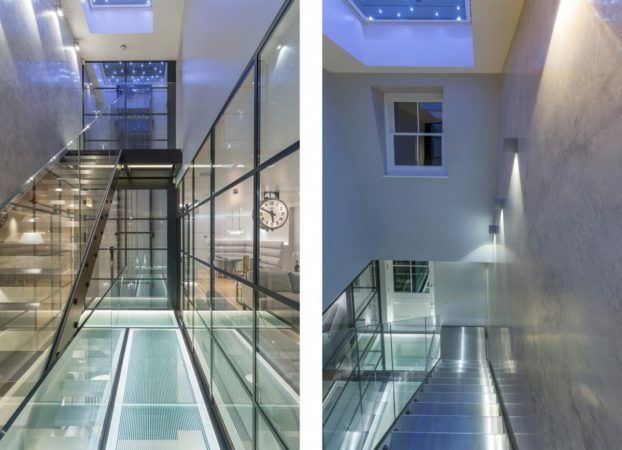 The stairs were a central feature running throughout the mews and needed clever lighting to create maximum impact. The glass floors were edge lit with Contour HD27 to create a floating effect and at high level fibre optics were used to create a starry sky effect. Slim architectural wall lights were selected to add light to the stair treads. The lighting design continued through to the bathrooms. On the left small low glare Eyelid Under Cupboard Lights create a feature of the display behind the bath. On the right, a miniature Luccini lights up the statue, Waterspring LED downlights light the basin and at low level Oslo floor washers provide a night light effect washing light across the stone flooring. 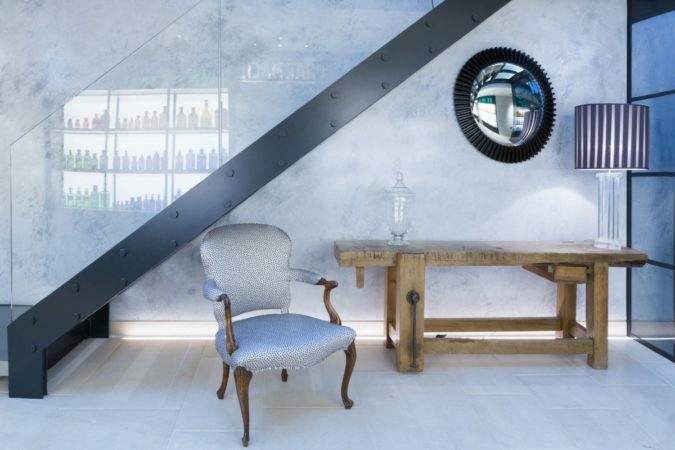 For further lighting design inspiration, visit our Project section.